An American psychologist named Harry Harlow, however, became interested in studying a topic that was not so easy to quantify and measure—love. In a series of controversial experiments conducted during the 1960s, Harlow demonstrated the powerful effects of love and in particular, the absence of love. By showing the devastating effects of deprivation on young rhesus monkeys, Harlow revealed the importance of a caregiver's love for healthy childhood development. His experiments were often unethical and shockingly cruel, yet they uncovered fundamental truths that have heavily influenced our understanding of child development. Harlow’s most famous experiment involved giving young rhesus monkeys a choice between two different "mothers." One was made of soft terrycloth but provided no food. The other was made of wire but provided nourishment from an attached baby bottle. Harlow removed young monkeys from their natural mothers a few hours after birth and left them to be "raised" by these mother surrogates. 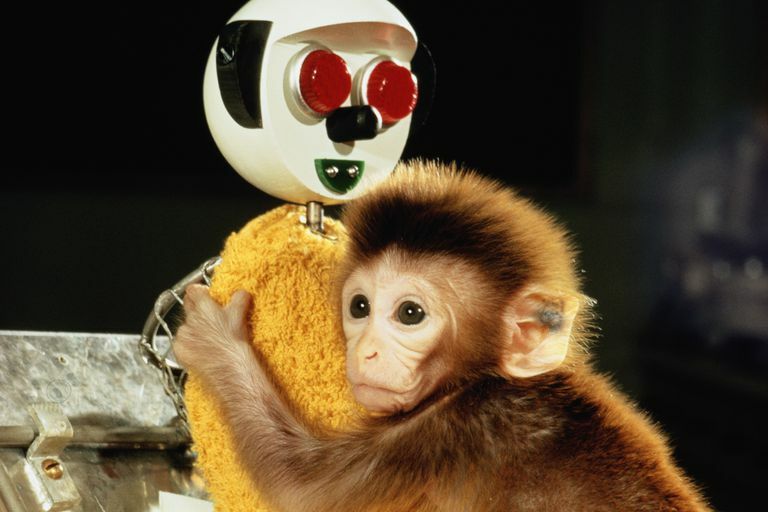 The experiment demonstrated that the baby monkeys spent significantly more time with their cloth mother than with their wire mother. In other words, the infant monkeys went to the wire mother only for food but preferred to spend their time with the soft, comforting cloth mother when they were not eating.